Once we got to Utah, we looked in the freezer. I feel like we need to eat what we have. Most of the proteins lend themselves to the hunk of meat, vegetable, starch kind of dinner. 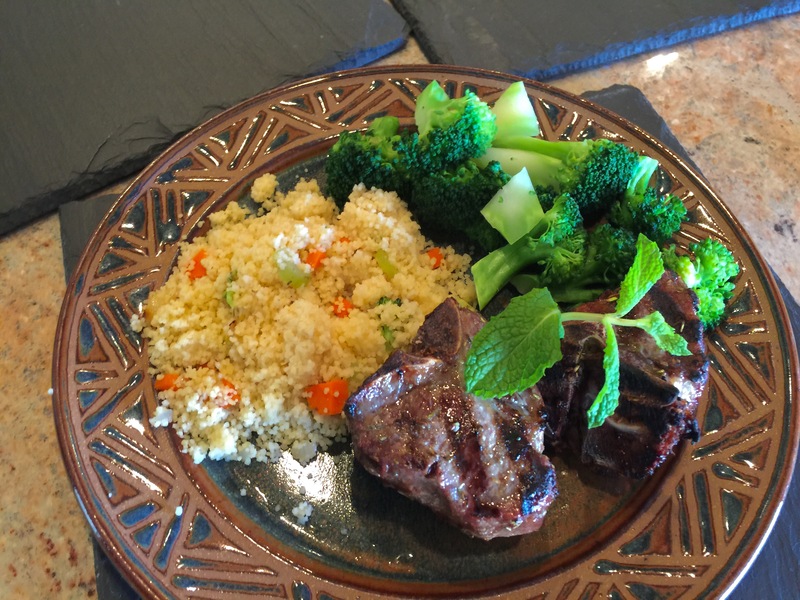 Ergo, lamb chops, couscous, and broccoli. John expertly cooked the lamb chops on the grill. They were very filling so I gave most of my second chop to him. I augmented the couscous with some vegetables, and steamed the broccoli. This entry was posted in Lamb, Pasta, Uncategorized, Vegetables and tagged broccoli, carrots, Celery, couscous, Lamb, lamb chops, Onions, pasta, Vegetables. Bookmark the permalink.